What is the link graph? What is manipulation of the link graph? Recently a service called Thumbtack was penalized by Google for unnatural links, presumably as a result of this blog post. In brief: Thumbtack does some fairly aggressive and overt link-building; Google is an investor in Thumbtack. This exposes Google to the criticism that they are allowing a business of which they are a partial owner to violate their rules, while punishing competing sites for the same types of practices. Was Thumbtack really breaking Google’s stated rules about building links? 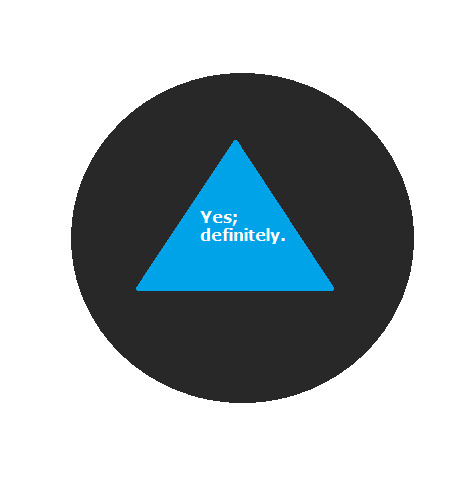 Magic SEO Ball says: Yes, definitely. It’s a common myth among inexperienced SEOs and people who don’t know very much about SEO that Google is primarily concerned with preventing people from buying and selling links. While it is true that this practice is extremely bothersome to Google, they will take action against any manipulation of the link graph that they find. The “link graph” is a concept that search engines use to conceptualize and to visualize the connections of all hyperlinks around the web. It’s important for a lot of aspects of how search engines operate: discovery of new domains and pages, crawling them, indexing them and ranking them (as an authority metric and as a relevance metric). PageRank, famously, was invented by Larry Page and Sergey Brin and was the backbone of what later became Google. It’s a numerical value that can be understood as representing how popular, important, valuable and trustworthy a certain web page is – based on how many other pages link to it, and which pages link to it. When search engines’ representatives use terms like “manipulation of the link graph,” they mean the practice of adding a lot of helpful links to a site in order to get it to rank higher, or the practice of adding a lot of harmful links to a site in order to get it to rank lower. Because of the extreme importance to search engines of the link graph, and to Google in particular of PageRank, anyone who could successfully manipulate the link graph, causing what Google sees as the “wrong” ranking for a query, is pretty directly harming Google. While Thumbtack seems to have known better than to try the automated approach of using an embeddable – and, to Google, easily detectable – widget, their program of asking members for links from their own sites, using exact match commercial anchor text, was the same in effect.